Myles Hanson became Chaska’s all-time points scorer, passing Spencer Tollackson in a 24-point game Tuesday in an 82-44 win over Bloomington Kennedy. The March 2017 edition of Carver’s Villager Tower is now available for download. The former owner of a Shakopee liquor store was arrested Feb. 23 after a four-year investigation into arson and tax fraud, according to Shakopee police. District 112 has taken the first steps of planning another future elementary school in southwest Chaska. The Chaska Fire Department is seeking new paid-on-call firefighters. The correct answer to last week’s quiz was the Carver-Scott Humane Society, at 210 North Chestnut Street. Luke Ridler started the season looking for his first sub-five minute time in the 500-yard freestyle. More than three months later, the Chaska freshman is in line for a shot at his first state podium finish. U.S. Senator Al Franken (D-Minn.) announced Feb. 17 that he has nominated Katarina Christianson of Carver for admission to the U.S. Military Academy and the U.S. Merchant Marine Academy. Starting this past July, a Task Force made of up residents, community group leaders, and small business owners met to discuss future options for “Community Spaces” in Carver. “Community Spaces” represent places where we gather to celebrate family, organize events, support one another, provide services, and debate issues that impact our community. “Community Spaces” can take many forms such as an event center, community center, city hall, and in the case of our community Village Hall. Over the course of seven months the Community Spaces Task Force developed a vision statement and guiding principles for Village Hall. 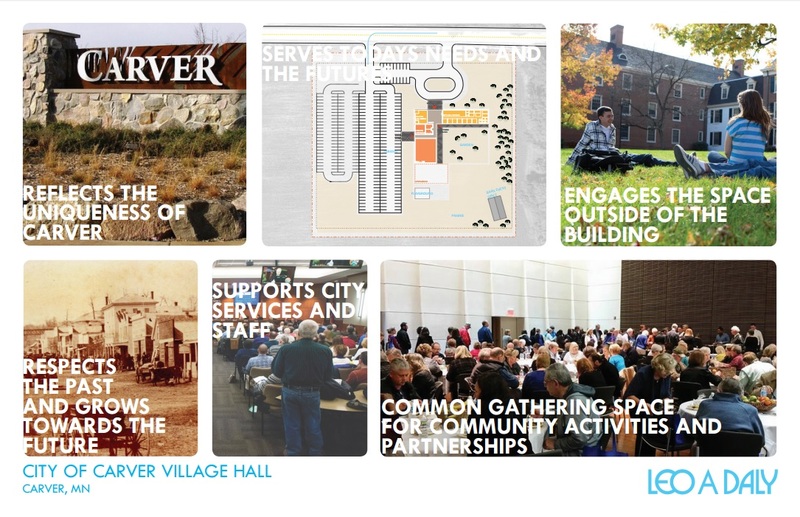 In addition, the Task Force reviewed and debated the ability of thirteen separate locations, including the current Village Hall site, to meet the developed vision and guiding principles for community spaces in Carver. Click Here to Get Informed…Share Your Voice! Church-By-The-River / 109 Main St. E.
In a traditional Open House setting, residents can view boards, ask questions, and fill out comment cards for the City Council. No formal presentation will be given…just stop by between 5:00 pm and 8:00 pm. Residents will have an opportunity to share their perspectives on the future of Village Hall with the City Council. Staff will read comments submitted by residents in advance of the listening session. The City Council will primarily “listen” and take notes, but will not debate specific aspects of the project. Questions will be answered by staff at the listening session or shortly thereafter. Based on feedback collected through the process and the listening session, the City Council will make additional information requests or provide staff direction as needed. 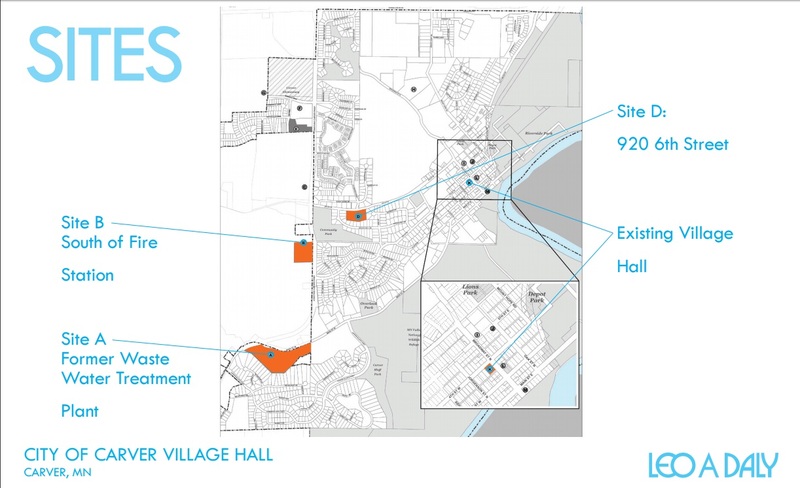 The City Council will consider making a “Preferred Choice” on Village Hall and direct staff to create a corresponding action plan for its implementation. Chaska High School Band percussionist Eric Wu was selected for the 2017 Minnesota Band Directors Association (MBDA) 9-10 All-State Honor Band. The Chaska Speech team hosted its home tournament on Saturday. Over 600 competitors, representing 20 teams, from across the state of Minnesota participated in the event. Christmas in May-Chaska celebrates 21 years in 2017. Holy Family Catholic has beaten just about every challenge over the past four seasons, 79 wins in the books. Twice reaching the section semifinals. A one-point game at halftime, MCAA Conference regular season champion Heritage Christian outscored Southwest Christian by 16 points in the second half, claiming the third-place game in the league tournament 73-56 Saturday.